Student life has changed over the years, and so too has the world’s youth naturally adopted new technologies and norms. Social media has become an irremovable part of our social circles now, and that doesn’t look to be changing any time soon, but should student life be inseparable from our online presence? Of course, official academic life hasn’t made the jump to social media just yet, nor is it likely to; we still get our communications from lecturers and coordinators by email or in person, and everything is still tangibly “official”. Instead, social media largely dictates our lives outside of the lecture theatres, from societies to politics to everyday activities. It’s only when you take a break or a “detox” from your social networks or start a fresh account that you realise how intrinsically linked your online presence is to your pursuits as a student; how many group projects, societies, and scandals you’ve missed out on entirely, or are no longer a part of, without your all-powerful Facebook account. It’s a natural progression of course, that organisation and communication between groups should move to an online sphere where it’s so easily managed and kept track of; I’m not sure anyone could argue against the merits of these tools in managing our pursuits. But for those without access to or who don’t want to use these social networks, however, it not only hampers their participation in student life, it outright excludes it in many places. Without a Facebook account in College, you miss out on quite a bit. Personally, I can say that as an Erasmus student, I’d have no clue about the College’s goings-on without it. Creating a new Facebook account was staggering in terms of how many groups, chats, and pages had to be found and re-joined, and it really brought into perspective how much I was missing, even over the course of a few days. Of course, some aspects of the student community maintain an outside online presence, like student newspapers and their websites, but the majority of our sphere of Trinity communications is contained within just one network. Societies might send out a cursory weekly email with the highlights of the week or their upcoming events, but for those actually involved in said societies, it’s almost impossible to keep in the loop without their dedicated Facebook profiles, event pages, and group chats. Those going on society trips are left with the bare minimum of the itinerary, and none of the timely updates along the way. Academic pursuits can be caught up in the void of Facebook too, with course groups and subject-specific chats naturally forming to help each other out, but often becoming the only form of communication between class reps, student liaisons, and their representatives. College will of course attempt to contact students by “regular” means via email, but when something goes wrong and the school is unable to help, students often need to solve their own problems, which is inevitably done via social media. Student society has become so accustomed to, and so interwoven with, social media that it’s just the default method of organising, there’s not much deliberation of choice about it anymore. The simplicity of just throwing together a group or a chat with everyone involved is so enticing that it’s easy to forget about those left behind for whatever reason. Any deviation from the established canon of social media interactions is usually met with an eye roll or a sigh, a gut reaction of dismissal to something that seems intentionally obtrusive and inconvenient, and not worth making a stand for. 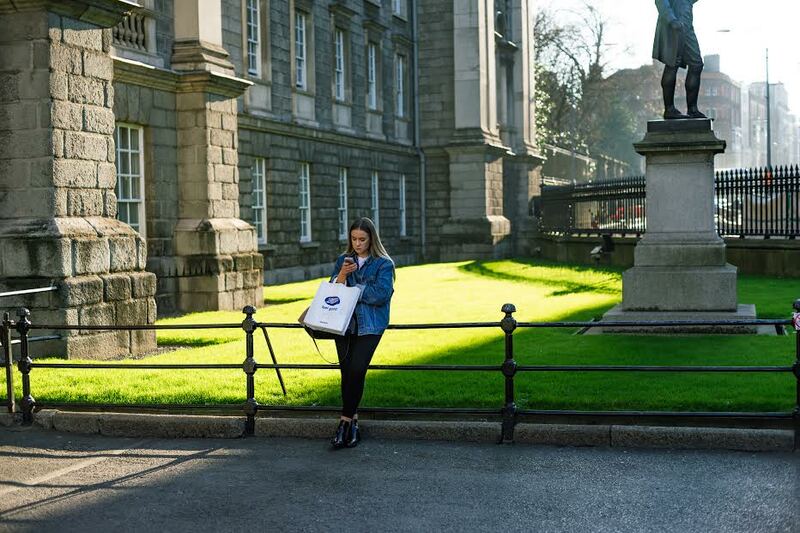 Just weeks ago, in this year’s TCDSU sabbatical officer elections, Communications and Marketing Officer-elect, Muireann Kane, only narrowly won her race as the sole candidate for the position, in part to something as minor as refusing to make a dedicated Facebook campaign page. Student politics as a whole are almost entirely contained on the site, and unless you’re religiously following the sabbatical hustings or debates, the only real place to get a feel for your candidates is through their Facebook pages and online presence. We’re so used to being catered to on the “established” social media platforms that neglecting to do so is almost seen as an attack on our lifestyles – we’re more than just dependent on platforms like Facebook, we’re loyal to them; defending the use of them and condemning those who would spurn them. We all know how frustrating it is to try to arrange a presentation or project where one of the group “isn’t on Facebook”, but we rarely think about how frustrating it must be for them. For whatever reasons, plenty of people abstain from social media completely, and with the stories coming out daily about the horrific privacy and ethical breaches in corporations like Facebook, can we blame them? Many of us likely wish we could take a moral stand and not contribute to the profits of unethical companies, but we’re so reliant and dependent on social media that it’s almost impossible to distance ourselves from it. This might seem like an extremely “millennial” problem, one that’s not world-shattering in the grand scheme of things, and only over-dramatised by fairly privileged students with little else to worry about. However, the point of the matter is that social media is an extremely significant part of our student society, and there are social and ethical implications to that which we can’t continue to ignore forever. Eoin O'Donnell is a current Deputy Comment Editor of Trinity News. He is a Junior Sophister History student, and a former Deputy Investigations Editor.